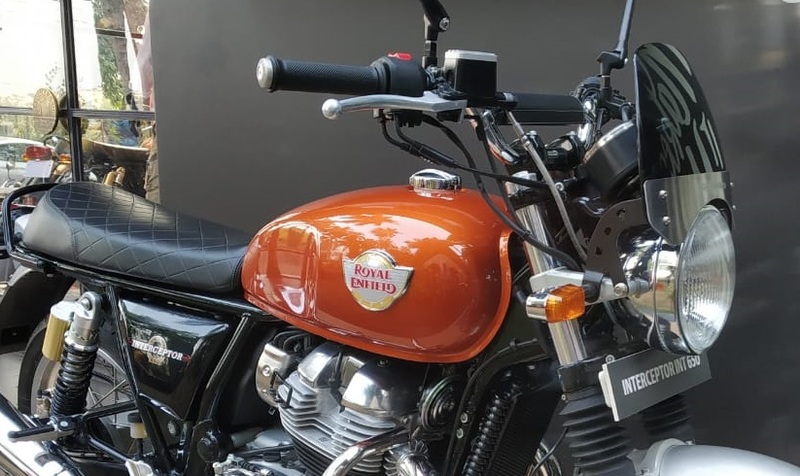 The Royal Enfield 650 Twins have arrived at dealerships and the deliveries of the motorcycle, as announced by Siddhartha Lal, CEO, Royal Enfield at the launch, would start at the end of this month. Initially, the bikes would be available in small numbers while large-scale deliveries commence from January 2019. The new members are aimed to expand Royal Enfield’s global reach as well and thus would be exported starting next year. The 40 official accessories offer comprehensive solutions for better convenience. We list a few others that buyers should consider for their Interceptor INT 650 and Continental GT 650. Royal Enfield is offering an excellent package via the Interceptor INT 650 and the Continental GT 650, especially considering an aggressive price starting from INR 2.50 lakh for the neo-classic roadster and INR 2.65 lakh for the cafe racer. But there is always scope for improvement, and that is precisely what we talk about in this post. We list five accessories and modifications that every Interceptor INT 650 and the Continental GT 650 buyer should consider installing right after purchasing the motorcycle. We urge readers to take opinion on the legality and manufacturer warranty before modifying their rides. Using tube tyres in 2018 is like listening to your music on a walkman in the times of Soundcloud and Spotify. While the wire-spoke wheels are very appealing, they come with the compromise of tube tyres. Thus, every time your prized possession suffers from a puncture, you would have to remove the entire wheel to fix the hole. Moreover, suffering from a flat tyre at highway speeds could result in a severe crash. Cross-spoke wheels might sound like a perfect solution, but they are very expensive. The next best thing available without burning a massive hole in your bank account is aftermarket alloy wheels. A pair of alloy wheels would set you back by anywhere between INR 10,000-15,000, but with tubeless wheels, they would ensure that you don’t get stranded in the middle of nowhere for a very long time. The 650 Twins are not designed to be off-road machines, and alloy wheels are a perfect choice for those who prefer tarmac to gravel. Converting the wire-spoke wheels to enable the installation of tubeless tyres is another option. It would help you retain the retro look with the convenience of tubeless tyres. YouTube has several tutorials that would help you do a quick DIY task to convert your wire-spoke wheels. Opt to take your motorcycle to experts for the conversion if you lack the technical knowledge. The Interceptor INT 650 and Continental GT 650 feature a conventional halogen headlamp that gives the bikes a retro persona. However, there are better options available to select from in the aftermarket. A projector style headlight, similar to the unit seen on the Thunderbird range, would give the motorcycle a more modern look while retaining the retro-style round shape. Royal Enfield has been one of the preferred choices for long distance riding. The biggest concern, however, during long distance rides is the lack of illumination on many roads. A pair of LED auxiliary lights would offer better lighting in dark conditions without putting a lot of strain on the battery. Ensure to use these only for long distance rides and not inside a city where you may cause inconvenience to fellow riders and drivers. Invest in a quality product for longevity and better performance. Long distance touring requires extra luggage carrying capacity. 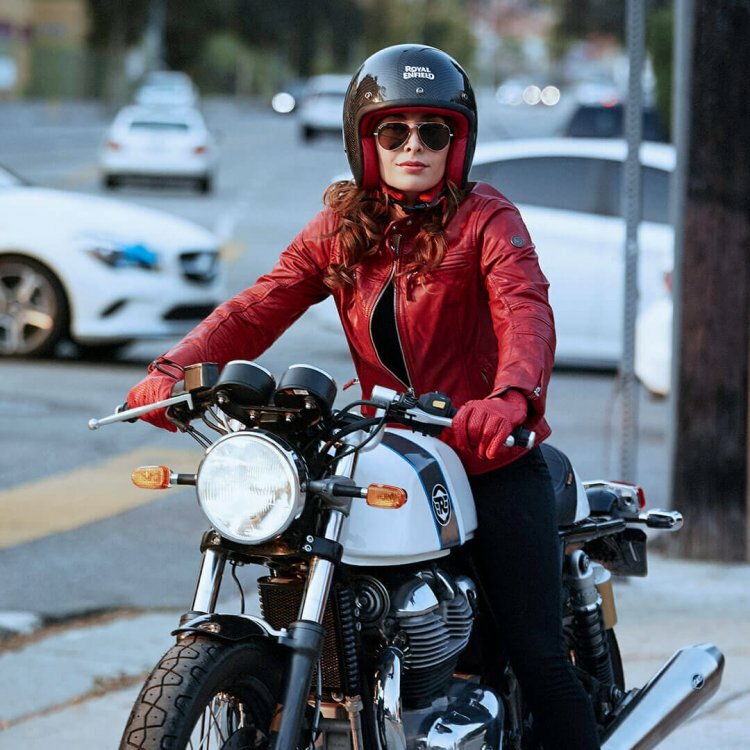 To ensure that the soft saddlebags do not swing and damage themselves by contact with the rear wheel or the exhaust, get your bike a pair of saddle stays. Several compact units are available in the aftermarket, but if you are a die-hard Royal Enfield fan, you can opt for the official accessories that include a Saddle Stay Kit. If you are not too concerned about compromising the retro look of the machine and money has never been a criterion before purchasing quality items, opt for hard case luggage panniers. Compared to saddlebags, panniers would keep your belongings safer and dry. While the stock headlight gives the 650 Twins a retro look, a Thunderbird style projector light would add a pinch of modern design to the package. Another nifty addition to the motorcycles would be a USB charger that would come handy to recharge your devices on the go. You can trade one for a power bank but a USB charger offers more convenience to juice up your devices that are installed on the motorcycle, i.e. your smartphone or GPS that are mounted on the handlebar.